Mexico's national football team represents the country in international football competitions and is controlled by the Mexican Football Federation, the governing body for soccer in Mexico. The official home ground of the Mexico national football team is the Estadio Azteca situated in Santa Ursula, Mexico City, Mexico. The team started participating in the World Football Cup in the year 1930 and has appeared 14 times in the mega tournament till date. In Confederations Cup, it started quite late in 1995 and has competed 6 times up until now. In the CONCACAF Gold Cup, the team started playing from 1963 and since then it continues to rule the tournament with an excellent record. Besides this, the national football team of Mexico also participated in the CONMEBOL Copa America tournament several times. The present standing of the team is at 20th position in World Football Rankings and the highest position it held was 4th place, twice, once in February-June 1998 and again in May-June 2006. At World Football Elo Ratings it currently sits on the 22nd position and the highest it has earned was 5th position in July 2011. In the Olympics, the national team started contesting from 1928 and won a gold medal in the London Summer Olympics. Besides this, the team has been participating in Pan American Games since 1951, winning four titles and five medals in Central American and Caribbean Games. Mexico is supposed to be the strongest football team in Central America and has earned several achievements throughout its career. 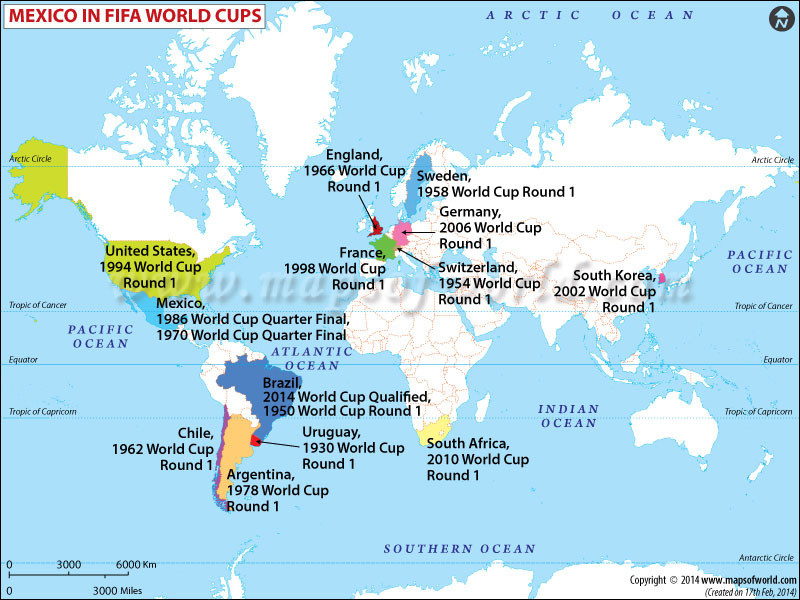 The only achievement in World Football Cup was entering the quarter-finals twice in 1970 and 1986. In the Federations Cup, the team became champions in 1999 and finished at 3rd place in 1995. In the CONCACAF Gold Cup, which is considered to be the most successful tournament so far, the team won a total of 9 titles from 1965-2011 including three wins in a row (1993, 1996 and 1998) and twice consecutively in 2009 and 2011. In the Copa America tournament, it finished runners-up twice in 1993 and 2001, besides winning several honors in Friendly Cups. The national football team of Mexico will continue to show its mettle in the upcoming World Football Cup in Brazil.